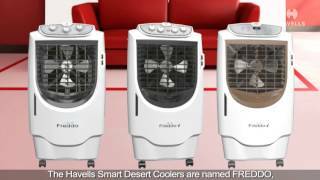 Havells Tower cooler for smart homes. Equipped with 3 speed settings, dust filter net. Ideal for indoor and hotel & restaurants.